Purchased in a UK nursery in 2003, this lily was labeled as 'L. tirginum var. forestii' which was probably a mis-spelling. 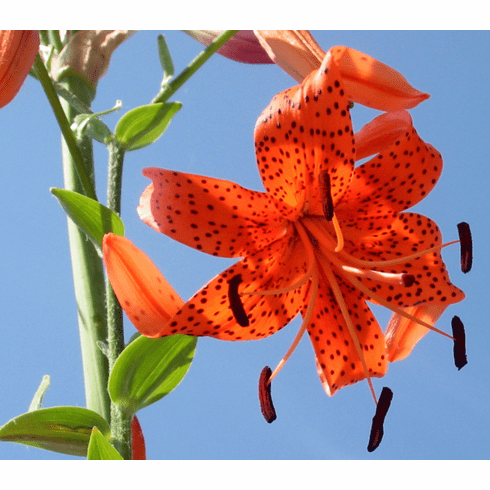 A beautiful and strong growing lily with rich orange flowers and typical purple spotting. This variant flowers in July, about a month ahead of the more common L. lancifolium var. splendens.